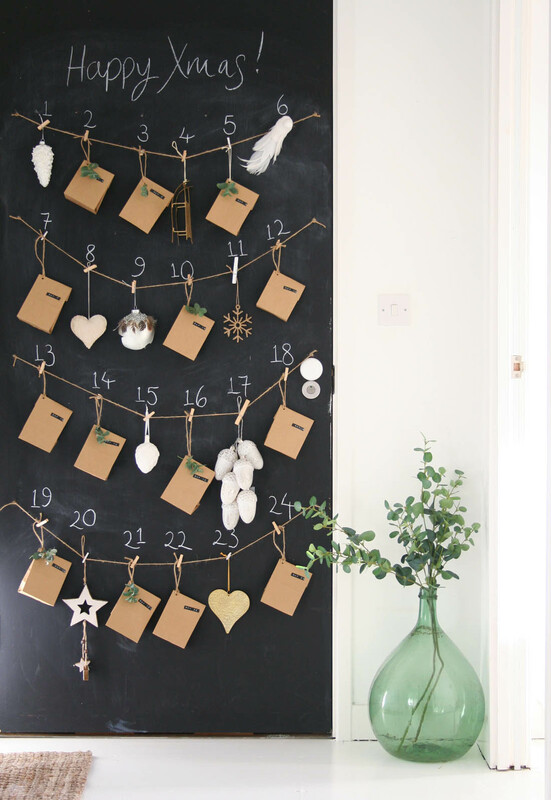 This is a really simple idea for a slightly more interactive advent calendar than the bog standard chocolate ones as some days there are Christmas baubles from Houseology (aren’t they beautiful?) 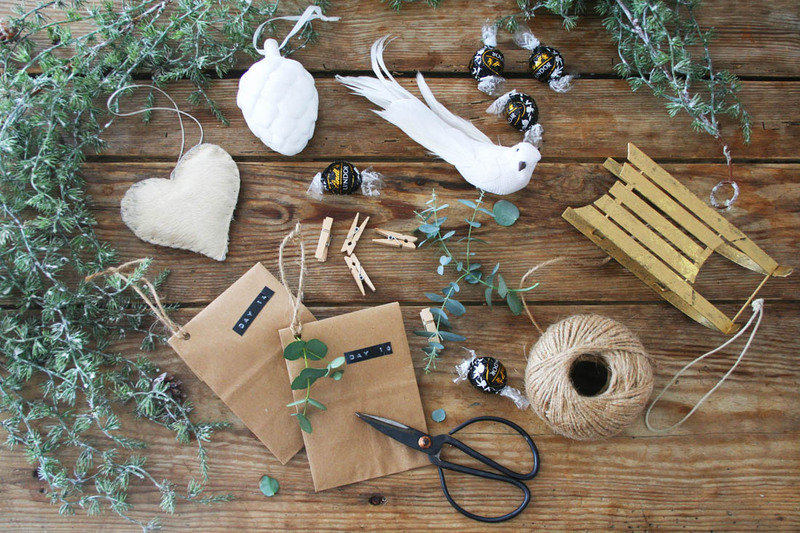 to add to the tree and other days there are little brown packages filled with whatever treats you like. 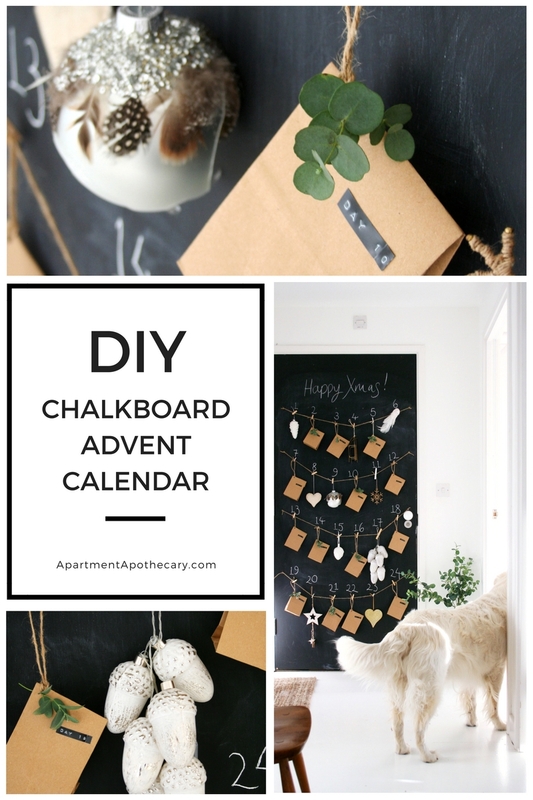 It really didn’t take long to put together and a chalkboard door or wall is the perfect backdrop. Otto definitely gets more than his fair share of the advent treats but Jules also gets some of his favourite chocolates stuffed into the brown paper bags. Adding christmas baubles to the calendar makes it feel a lot more festive and it is such a nice tradition to steadily add more and more decorations to the tree as advent goes on until Christmas eve when the tree should be full. 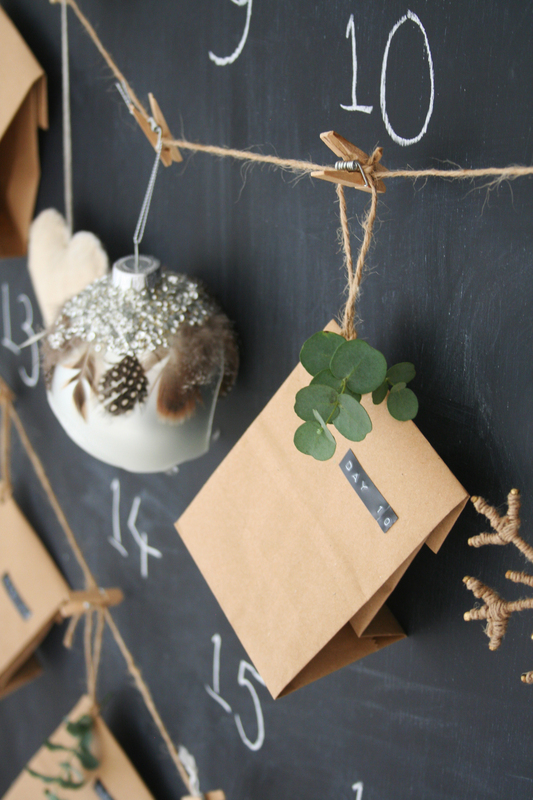 All you need to create the calendar are lengths of string, clothes pegs and small brown paper bags (so much quicker than wrapping individual parcels) with a hole punched in the corner. 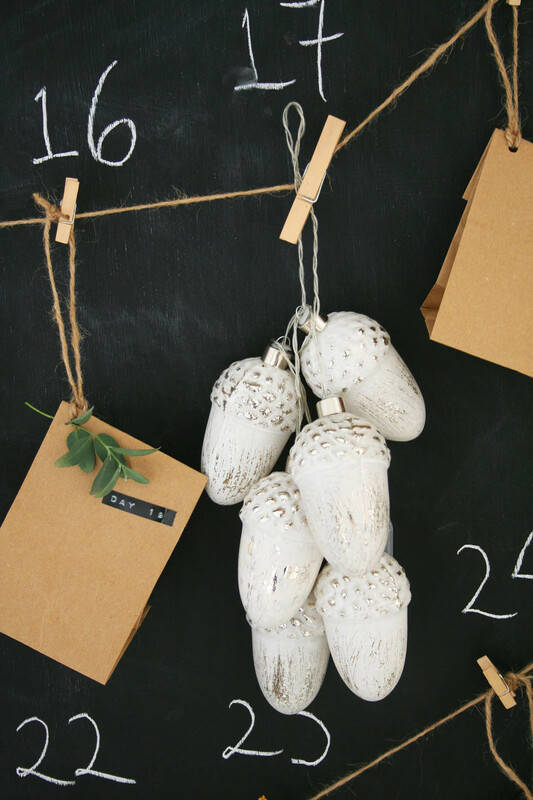 I decorated each one with a sprig of Eucalyptus and a label for each day. 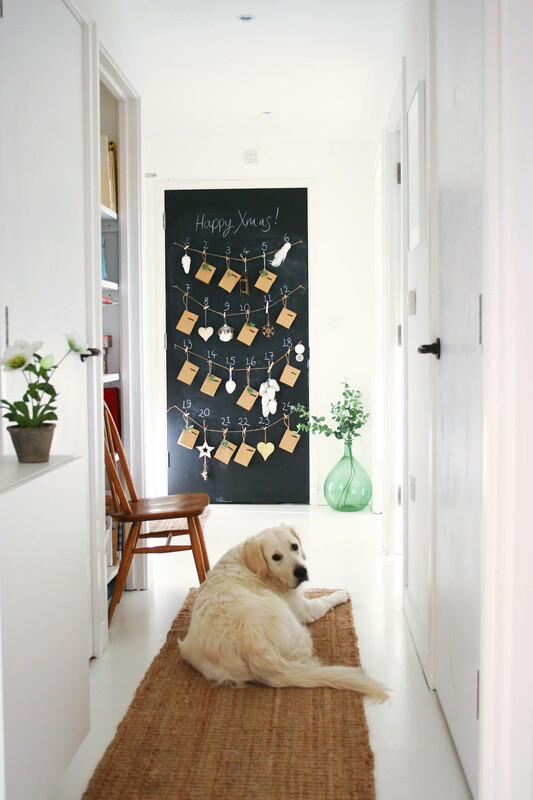 The Houseology collection pine garland is the perfect decoration to use year after year either draped on a mantel piece, along the Christmas table, over a doorway or you could even hang your advent calendar gifts from it. Take a look at the rest of Houseology’s gorgeous christmas collection this year – it will definitely start to get you in a festive mood! I can’t wait to get my LED christmas tree out from last year. Two of my favourite decorations from the Houseology collection are these glitter and feather baubles and this cluster of glass pine cone lights. So beautiful! 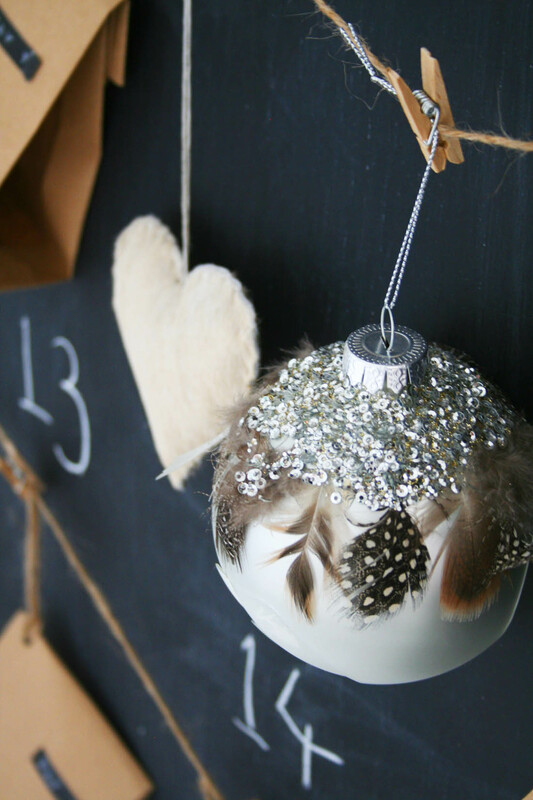 Other baubles I have used are: pearl pine cone, jute snowflake and hammered gold heart bauble. So, you’ve got about four weeks to go…are you ready?! I LOVE, LOVE, LOVE THIS! So clever.